Dr Sails is a two-component epoxy adhesive ideal for fast and flexible and underwater curing and is especially designed to repair sails. 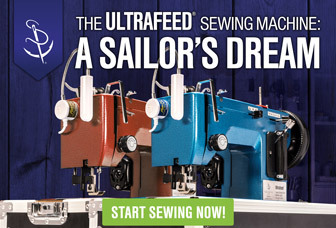 Companies like saillrite make sewing machines so sailors can repair sails, but they are expensive and bulky, so not very practical for onboard use. DrSails being a flexible glue that will work with wet substrates and sail material is a simple solution for sail repair. There are some excellent examples of current sailors using DrSails and that is the current Volvo round the world race. During the race there are legs which stretch out for thousands of miles and to be able to fix damaged sails is a top priority. Out of all the teams most have opted for DrSails adhesive while one team opted for a sewing machine. Once cured DrSails is pliable and flexible which makes it idea for repairing sails. DrSails is ideal for gluing sail cloth, fiber glass, carbon, Kevlar, metal, wood and neoprene. Its easy to apply with the supplied mixing nozzle. DrSails is an epoxy adhesive developed to repair and mount various applications on a sailboat. It can be used to glue fiber glass, carbon, metal, wood, wetsuit and can even be used to repair sails. What makes DrSails unique is the fact that is stays flexible and therefore is shock-resistant. It can also be applied on wet surfaces or even under water. 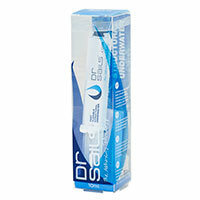 DrSails is a 2-component adhesive that will be mixed by the unique nozzle and therefore it is always ready to use. Flexible: 4.5MPa flexural strength (ISO 178). Flexible as a PU, structural as an epoxy. Structural: Reaches over 200kg/cm2. Ideal for bonding a full range of materials such as metals, wood, composites, sailcloth, wetsuit and plastics. Underwater: Bonds under fresh, salty or even sparkling water. It also bonds under fuel or gasoline. We use this on my race boat and I do sell it. You will also need some sail material to adhere to.